I met Jonathan M. Thompson of Battlefield Press International at Gen Con 50 and ever since we’ve gotten on like a house on fire. When he mentioned his current Kickstarter, I knew I had to be a part of it by writing an adventure and promoting this. With that, let’s talk dinosaurs! EGG – Thanks for taking the time away from your campaign to talk to us. What is The Dinosaur Protocol? 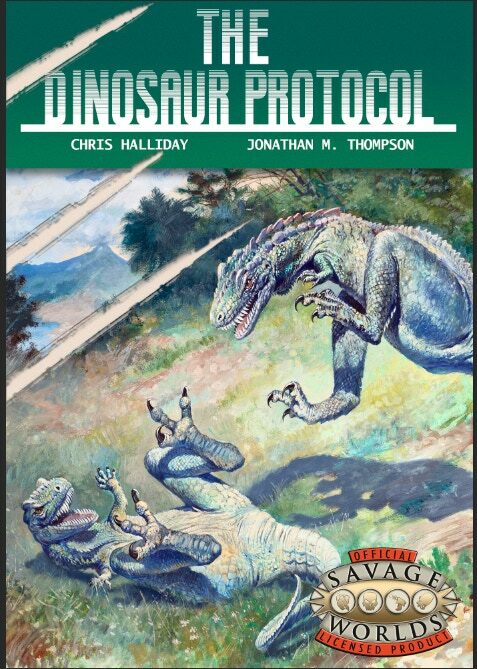 Jonathan M. Thompson and Chris Halliday –The Dinosaur Protocol (for Savage Worlds) is a post-apocalyptic tabletop role-playing game of adventure and discovery in the jungles and plains of a world grown wild and strange. Egg – Through your company, Battlefield Press International, you’ve done a number of Savage Worlds 3PPs. 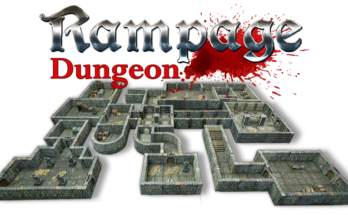 What makes Savage Worlds right for you and right for your company? Jonathan M. Thompson and Chris Halliday – Savage Worlds is very versatile. It is adaptable to most all kinds of settings. It lends itself well to the settings we have. In addition, with the versatility of Savage Worlds, a gamemaster can mix just about any setting together for something that may not have been thought of originally. 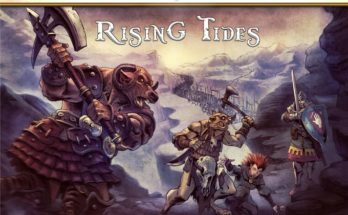 Even in its evolution, Savage Worlds doesn’t change that much and newer editions are still compatible with older settings, unlike other games where there is a heck of a lot of conversion work. Jonathan M. Thompson and Chris Halliday – In most of the modern dinosaur-themed adventures and campaign worlds out there, humanity has either a technological or numerical advantage. Put simply, a Tyrannosaurus Rex doesn’t stand a chance against heat-seeking missiles, and even if those weapons aren’t available, humans in large numbers can build traps and out-think even the most vicious of saurian predators. 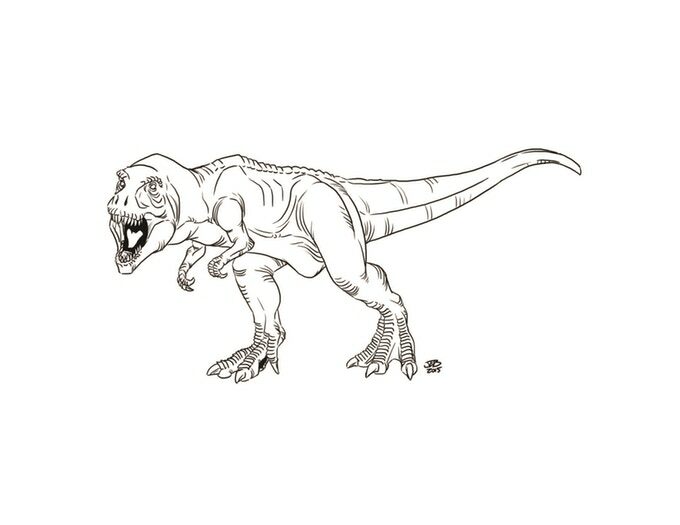 In Jurassic Park, the Tyrannosaur is an apex predator only as long as it stays on the island. As soon as it arrives in San Diego in Jurassic Park: The Lost World, it becomes an endangered species. In The Dinosaur Protocol, the apocalyptic events of the Dying Time have redressed that imbalance by limiting the availability of weapons technology, and by limiting the numbers of humans. Perhaps the biggest difference between The Dinosaur Protocol and other dinosaur-themed adventures is the sense of mystery and discovery built into the World Reborn. 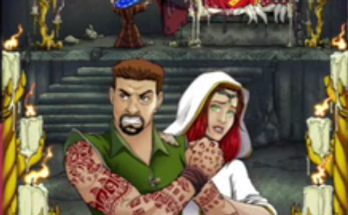 Player characters have the chance to explore the wilderness born of the Dying Times, and perhaps to piece together what happened to civilization after they took to the shelters. Not everything in the World Reborn is quite as simple as it seems. I think the final major difference is that there’s a very strong element of community within the game. Characters are in part defined by the kind of community they come from, and in turn what kind of shelter it has sprung from. In turn, characters get the chance to shape their communities, gain influence through their adventures and exploits and having a say in the cultural, social and technological development of their people. We treat communities similarly to characters themselves, which in turn will have an effect on additional characters from those communities. There’s a generational aspect to the game that I think players are really going to enjoy, in that they are building and shaping the future of humanity in the World Reborn. Egg – When this product makes its way into the wild, which type of campaign do you feel will be seen at more gaming tables? Jonathan M. Thompson and Chris Halliday – The setting has the potential to be taken in several different directions, and we’re keen to provide the tools for all of them. Most post-apocalyptic game-worlds are based around resource-scarcity, usually food and clean water, fuel, medicine and so on. The World Reborn removes some of this pressure by making the land fertile, food plentiful and clean water freely available. Of course, it also adds the pressure of hungry dinosaurs that will eat you or your domestic animals if they can, bizarre diseases, crop blights, dangerous plant life, and the threat of environmental disaster on a human population struggling to maintain genetic diversity. Another source of conflict may well come from the origins of each community. Each will have sprung from a different shelter, and each shelter will have been created by someone with resources and an agenda. Furthermore, some of those shelters are cryogenic in nature, so that communities that spring from them may well be populated by people who were alive during the Dying Time, with all the petty hatreds and prejudices that entails. I think at first, players will enjoy confronting dinosaurs as they try to understand and survive in the World Reborn, then as people explore the possibilities of the campaign world, we’ll see more games based around human dramatic conflict. Given that some dinosaurs can be domesticated and trained, human vs human conflict, with dinosaurs as “warhorses” and machines of war is distinctly possible. But whatever the source of the conflict, the players will need to remember that the dinosaurs aren’t just an environmental hazard. They’re living things, with needs and drives all their own. As Ian Malcolm says in Jurassic Park (I love those films) “Life finds a way.” Ignore the dinosaurs at your peril. 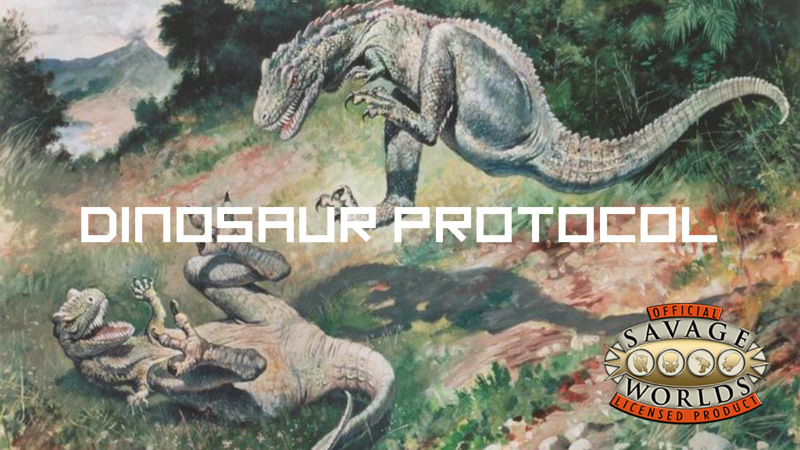 They ruled the world for millions of years before us, and if the characters in The Dinosaur Protocol aren’t careful, they’ll rule long after us. EGG – Where can fans learn more about your work and this Kickstarter? Jonathan M. Thompson and Chris Halliday – Currently the information about this Kickstarter can be found on the Kickstarter Page. The Kickstarter ends April 11 and we have about $400 to go at the time of this writing.